Launch and manage any type of fundraising website with Giveffect’s all inclusive events, fundraising and relationship management software. Got tons of fundraising ideas? Our leading software for nonprofits can power all types of fundraisers: ticket sale, crowdfunding, peer-to-peer, team fundraisers, DIY fundraising tools - all done through one fundraising software. Raise money easily with your limited resources using Giveffect’s management fundraising software for nonprofits. 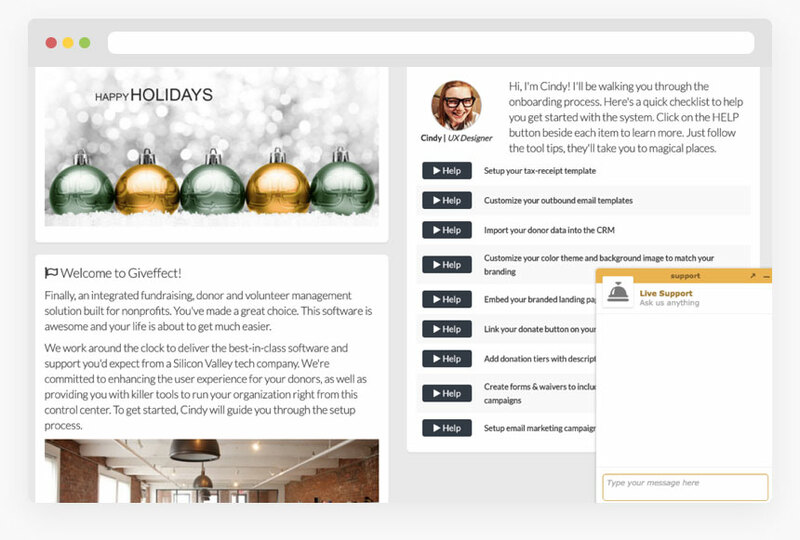 Nonprofit Fundraising Software: Giveffect powers all Nonprofit Fundraising Ideas. Juggling many nonprofit events and fundraising management systems online can be a hassle. Giveffect is the end-to-end nonprofit software that powers fundraisers of all types. Our client success team will help make your fundraising ideas come true. Increase your donor records automatically with our donor management database. 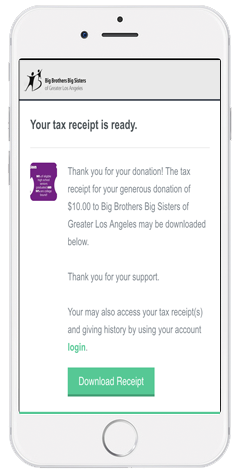 It automatically logs donor records from the fundraising software. Do you raise money by hosting annual galas, charity golf fundraisers, marathons, bikathons, bowling events tickets? Any type of fundraisers you could think of, we can support online. We make sure all fundraising ideas can be done through the Giveffect fundraising software. Giveffect is the solution for nonprofits to raise money, grow your donor database and engage with donors in a meaningful way with limited resources. Sometimes, nonprofits need a simple website to accept online donations to fundraise for specific nonprofit programs. Raise money and create a strong relationships with your donors by showcasing how their donations are impacting your local community. Donation pages are mobile responsive and designed to support people living with visual impairments. Supporters, volunteers and past donors want to raise money for your nonprofit with their personal online fundraising site tied to your campaign. 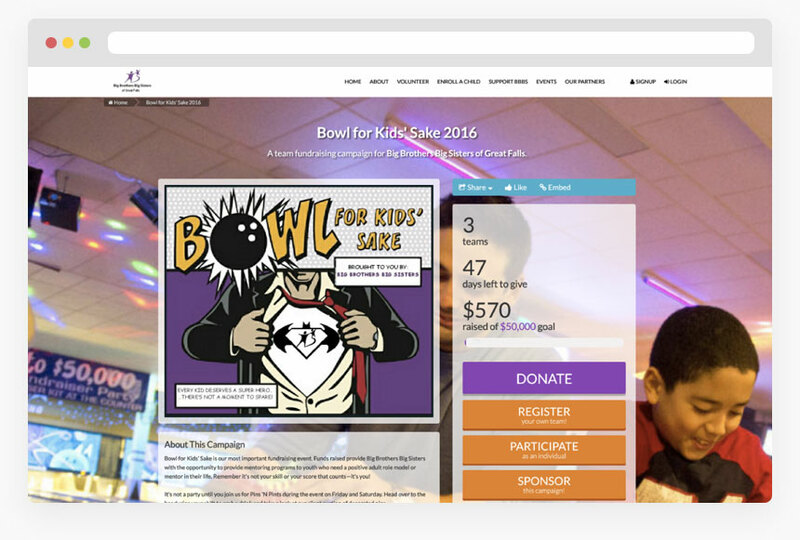 Turn any 5K run, bowling event, crowdfunding and challenge into a peer-to-peer fundraising campaign. Incentivize donors to raise money and accept donations online by enabling the free thermometer bar to help them reach your goal! All past and new donors will be logged directly into your donor database - and Giveffect takes care of the rest! Peer-to-Peer fundraising campaigns are great. Got plenty of supporters? We suggest nonprofits get Team Leads to recruit individuals and fundraise as a team on your behalf! Each team member becomes accountable for their fundraising goal set by the Team Lead - increasing your success rate! Get your donors and supporters to raise online donations from their personal fundraising site. We take care of all donor entry in the donor database. All donors love perks and rewards. Turn a nonprofit crowdfunding campaign into peer-to-peer crowdfunding or team crowdfunding campaign. Each individual and team will be accountable to raise money to reach their own crowdfunding goal. Giveffect’s donor management system will automatically take care of your donor’s donations, tax-receipts, thank you emails and more. Your supporters can raise money and accept donations with their personal fundraising site to celebrate life events. Smart Automation enters donor records into your constituent and fundraising database. Once fundraisers are approved, nonprofits and supporters have nothing left to manage! Giveffect’s nonprofit management software takes care of the fundraisers launched by your supporters and donors. Tap into your network to raise money and reach your goal faster! Nonprofits partner with corporations to raise money and accept donations online for golf tournaments and other fundraising campaigns. Nonprofits simply approve proposals then their donation websites and team fundraisers will launch through Giveffect’s fundraising software. Get all departments involved to raise money for your nonprofit organization with their corporate online page! Reach your goal faster with diversified fundraisers. Again, we take care of all donors with the Giveffect donor management with our end-to-end nonprofit management software. Nonprofit organization Case Managers need tools to manage lectures and client workshops. Volunteer coordinators can manage volunteer training sessions. Nonprofits can host speaker series and conferences. Easily create a RSVP campaign page to manage your community. The Auctions module will turn any fundraising campaign into your very own auction website. We support various types of auctions including simple online bidding to silent auctions. Manage all your auction items, keep track of bidders, complete payment and correspondence all within the software. Nonprofits can create and launch any type of online fundraising campaign with Giveffect’s fundraising software. 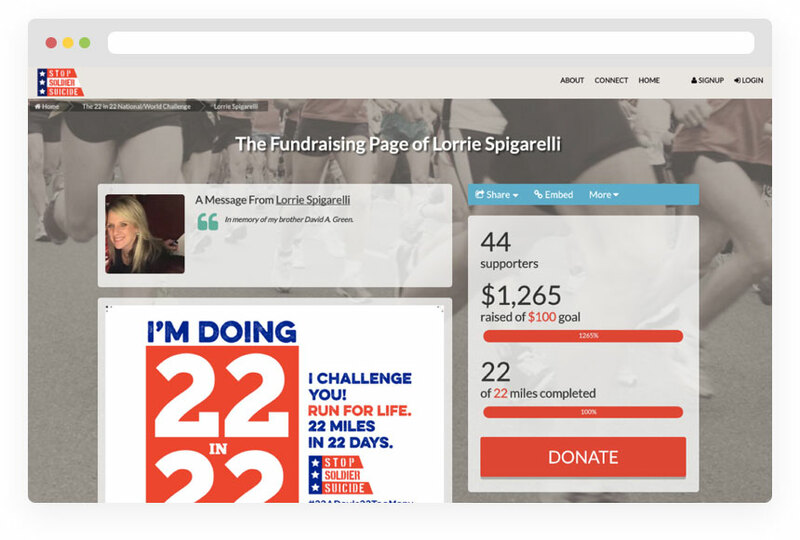 Online fundraising page branded to your nonprofit’s look and feel, personalized descriptions, images and video communicate the goal to raise money in support of your nonprofit mission. Use Giveffect’s nonprofit management database to communicate with nonprofit donors, volunteers and supporters. Send out newsletters and direct email for free. Built-in communication tools allow nonprofits engage with donors and supporters in a social and user-engaging way. Nonprofit Fundraising Smart Automation: We do the hard work. Donor and fundraising supporters are automatically logged in the nonprofit fundraising database - connected to the client relationship management database. Giveffect’s Smart Automation helps nonprofits manage lengthy paperwork. We help send personalized thank you letters, issue branded tax-receipts, automate data entry, integrate data for nonprofit management reports - and more. Save more time and raise money to support your mission! Real-Time Data Analytics and Reports: Integrated Nonprofit Management Reports. Volunteers, donors, fundraising supporters and sponsors - creating reports and tracking the return of each nonprofit marketing initiative, online fundraising campaign, recruitment efforts can now translate to the amount of dollars raised per outreach program. Track and measure the impact of each program and determine the nonprofit overall impact made per donor, supporter and volunteer. Nonprofits get access to Giveffect’s chat support. Purchase Phone or Account Manager Support Packages for additional support. Access video tutorials, internal FAQ and whitepapers from our nonprofit management software. Got plenty of fundraising ideas? Our community of experts will help you achieve your fundraising dreams with Giveffect’s flexible fundraising software. 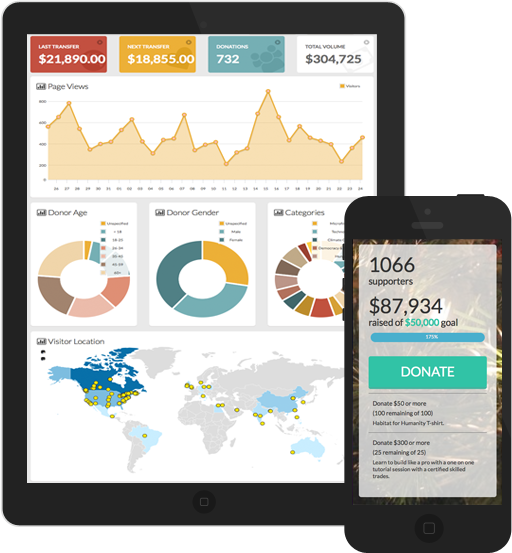 Nonprofit Fundraising Software made easy. Everything in one system. How great is that?